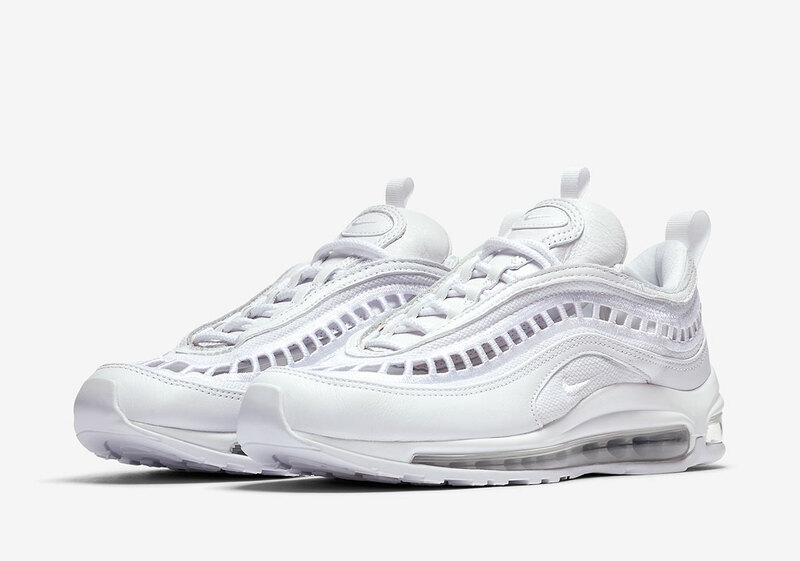 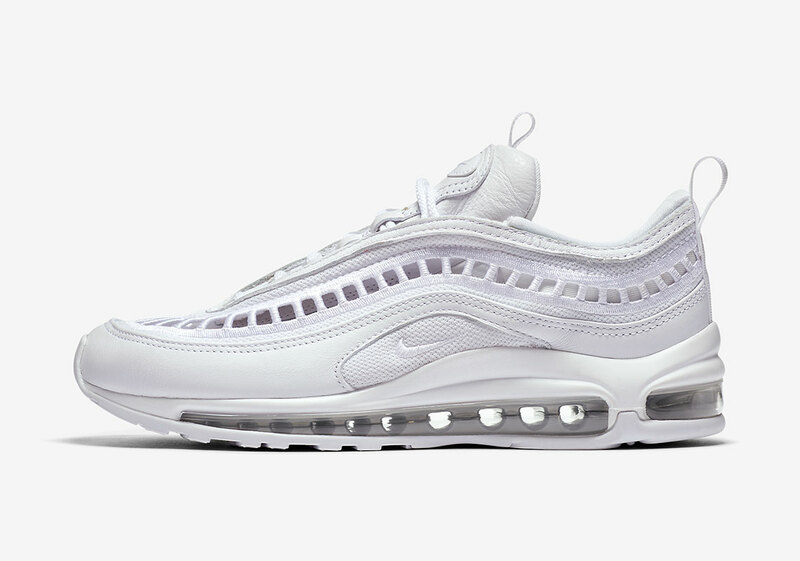 Nike’s Air Max 97 Ultra, an already-streamlined take on the iconic Air Max silhouette, will be arriving in an even more minimalistic version just in time for warmer weather. 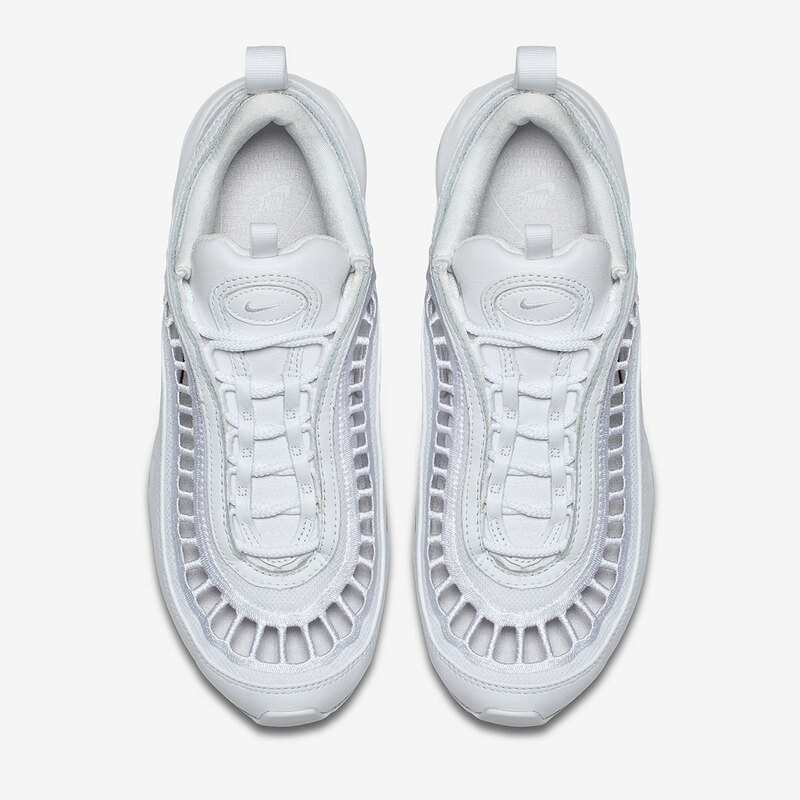 The brand-new women’s only pair features square vents all around the upper where the 97’s famous bullet train stripes would normally be placed, held together by a woven material similar to what you might see on other stripped-down woven women’s silhouettes like the Mayfly Woven or Footscape Woven. 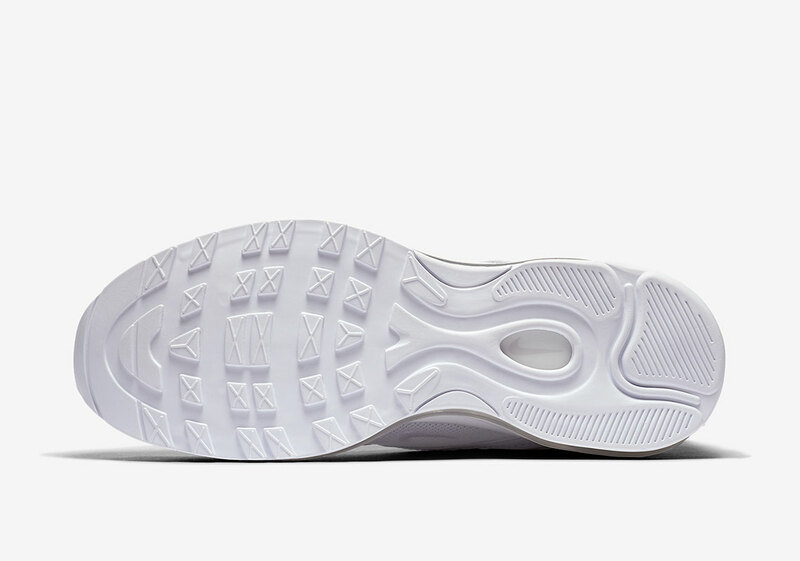 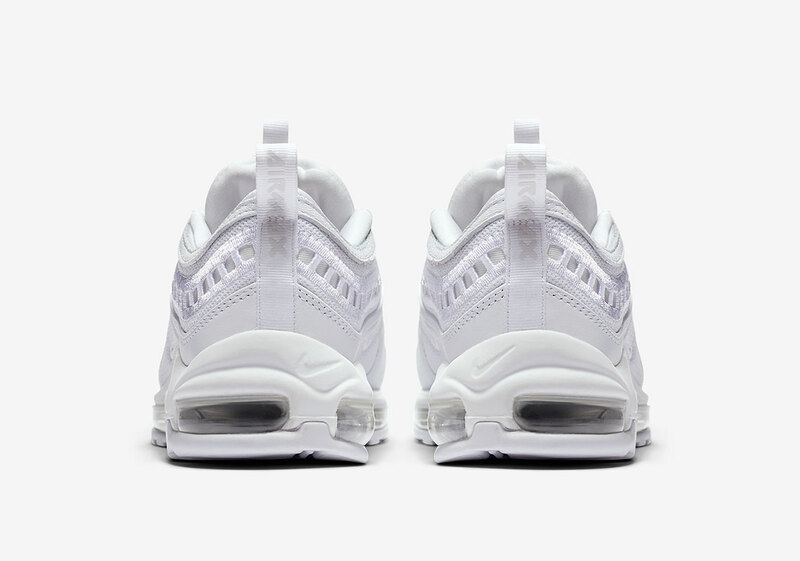 The remainder shoe’s upper is constructed of a premium tonal white leather, all of which sits on top of a classic silver full-length Air Max unit and white midsole/outsole. 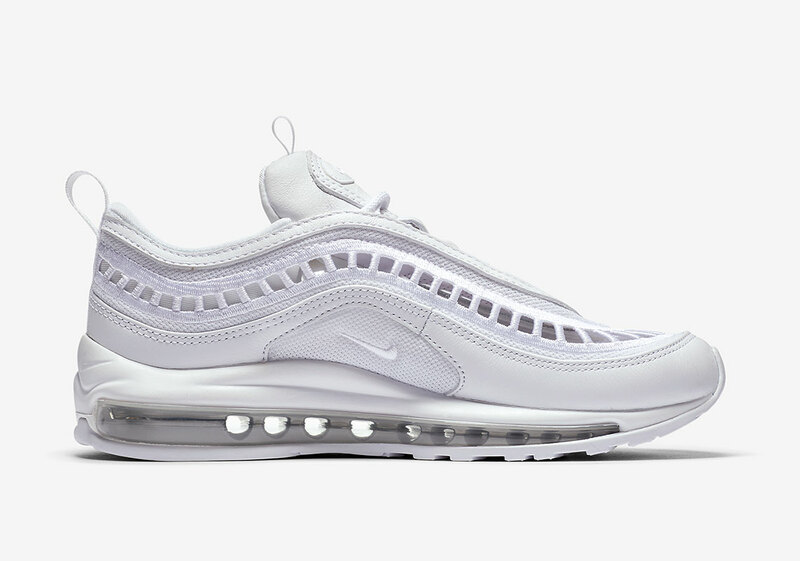 There’s no official release date for these summer-ready woven Air Max 97’s but look for them to hit Nike.com soon.